Here you can find all our latest news, from projects we've supported to our fabulous fundraisers' exploits and special challenge events coming up! Register to receive news and event updates by email. 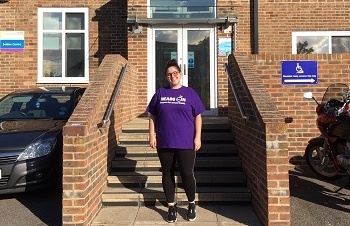 The Selden Centre's Laura Stapleton is walking the 25 mile Inca Trail to Machu Picchu in Peru to raise £1,000 for Heads On. We're asking everyone to support Laura and 'Match Machu' by raising £25 through their own fundraising challenge and help match her target. 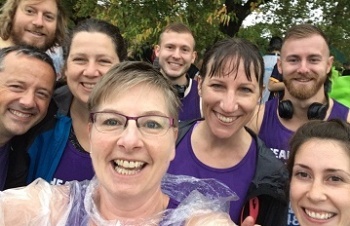 Our amazing Royal Parks Half Marathon team smashed their fundraising target, raising nearly £6,000 as they completed their very wet challenge in rainy London on Sunday 14th October. 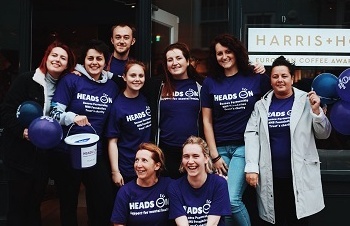 Staff at Harris & Hoole Chichester South Street were delighted to beat their relay race fundraising target for Heads On despite the rain. 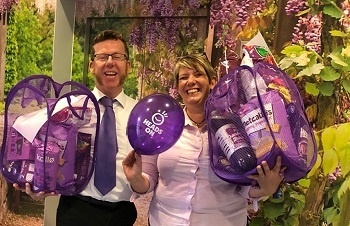 Schools, organisations and hospitals joined Heads On to 'Paint it Purple' on World Mental Health Day, making it a day of fun, fundraising and a great chance to raise awareness of the importance of our mental health and wellbeing. 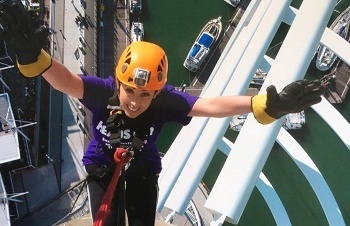 Twenty fabulous fundraisers abseiled 100 metres down Portsmouth's Spinnaker Tower, raising a massive £2,300 for Heads On. 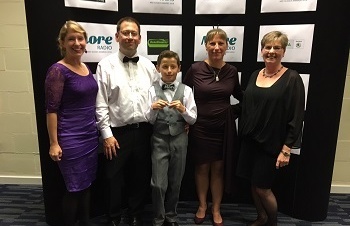 To round off his amazing fundraising efforts Christopher Keeble receives the More Radio Young Person of the Year award, and Heads On couldn't be more proud of him. 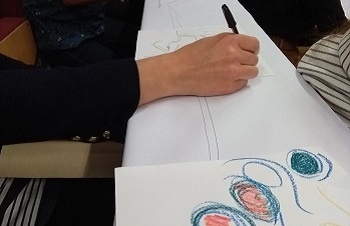 Funded through Heads On fundraising, the symposium was a fitting end to a wonderful project, enabling people facing mental health challenges and their carers to access the arts through participatory drawing events across Sussex and Hampshire.